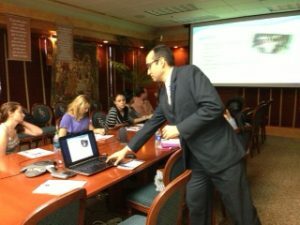 As part of the ongoing process of keeping our students up to date on business community facts, the Business Department at FNU and the Hispanic Business Initiative Fund held a seminar “How to Start a Business in Florida” on July 10 and 11 at the Hialeah and South Campus, respectively. 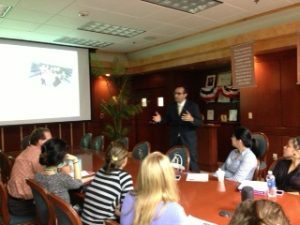 The seminar was conducted by Jose D. Alvarez who represents the South Florida office of the Hispanic Business Initiative Fund as the Business Development and Education Consultant. His duties include business counseling to local Hispanic business owners in addition to coordinating all the organization’s bilingual outreach and educational efforts in the region. 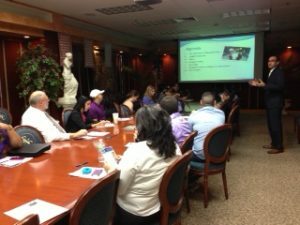 Business students and instructors from FNU’s Associate, Bachelor and MBA programs participated in the seminars where they had the opportunity of knowing how to a start business in Florida. Also, they exchanged ideas about business regulations in Florida, and risks of doing business. 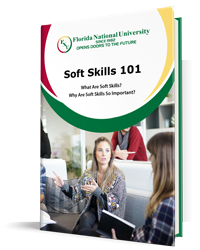 The Business Department at Florida National University will continue to offer its business students and the local community different activities to keep them abreast of the latest business trends. To learn more about Florida National University’s Business programs, please contact the Office of Admissions at 305-821-3333.